Wades wife had a conference in south beach Miami and he got the green light to go do some inshore fishing. He gave me a call and we set up a half day charter. 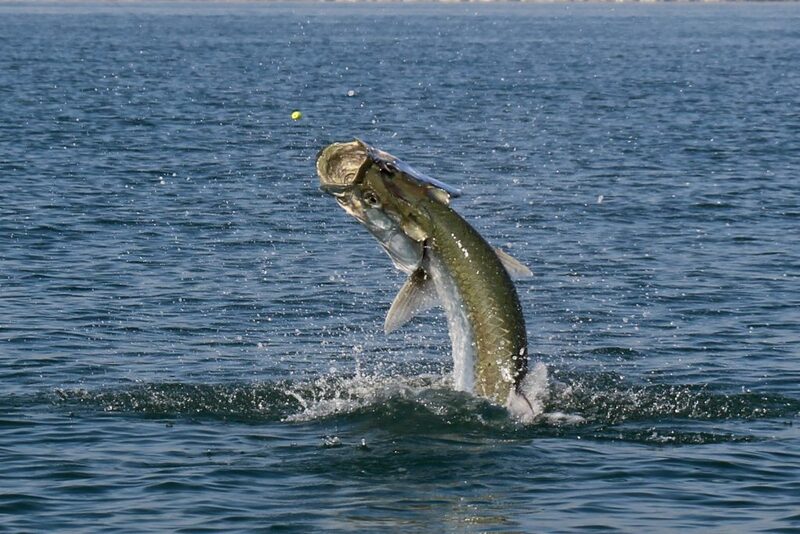 He has always wanted to catch a tarpon and it’s a good time of year for tarpon fishing in Miami. We meet up at the marina on Key Biscayne and it’s a short boat ride to where the tarpon have been. We set up a drift and the tarpon were rolling in the area we got started fishing in. On our first drift we got a bite but never got tight enough to get the hook set. On our second drift we get another bite and the tarpon is heading straight for the boat. I grab the rod to reel the slack out and we are hooked up. I get all the gear cleared up and start chasing the fish. About 20 minutes into the fight we get the leader release. This is where you reel the leader into the tip of the rod. 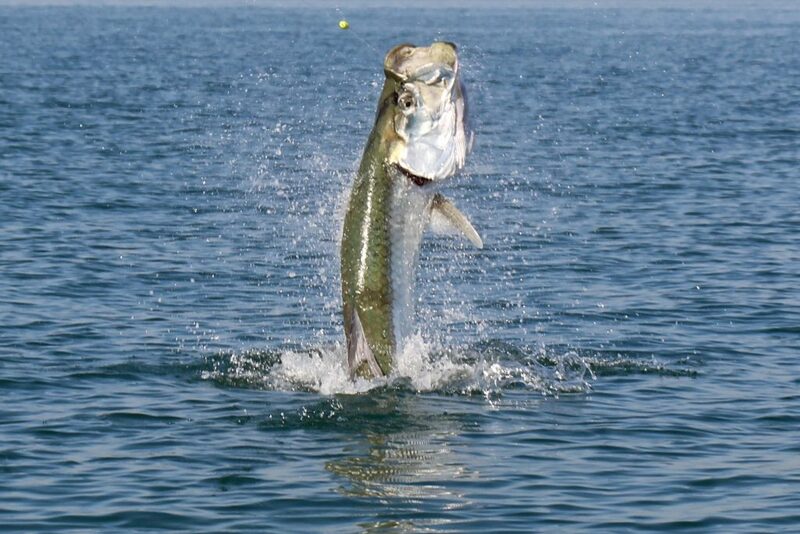 About 10 minutes later after another good run ,The tarpon comes up and gives us two jumps. 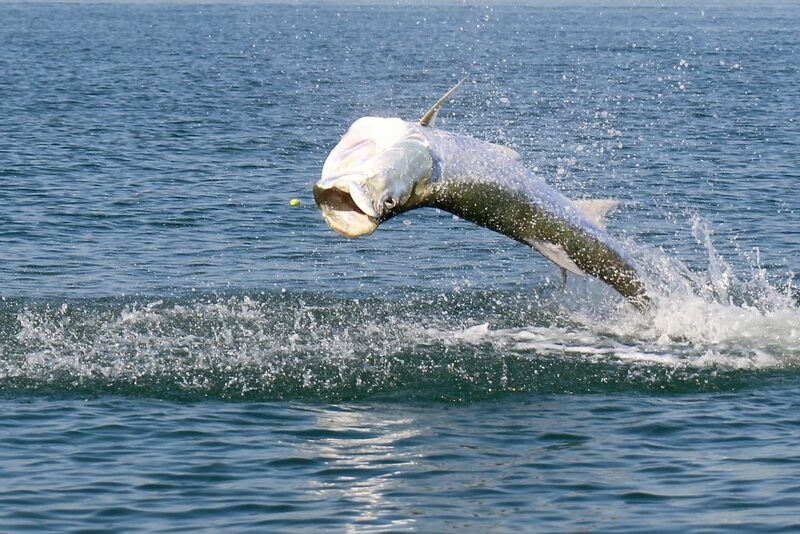 I was able to get some good shots of the tarpon jumping. After fighting the tarpon for another 20 minutes, I got a hold of the leader, but the tarpon was not ready so I had to let it go. This went on a couple more times when the hook just fell out. 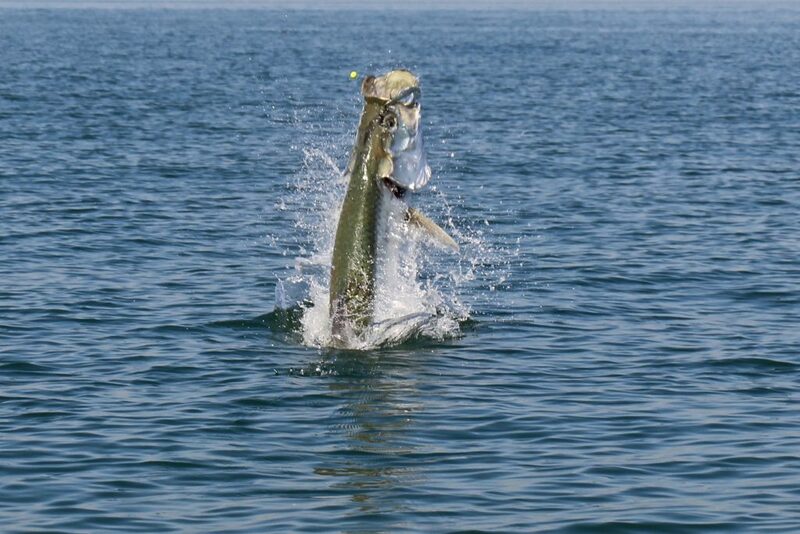 Tarpon have a very hard mouth and after a long fight the hook opens up a bigger hole and will fall out, proving just another way to loose a tarpon, but it is still considered a caught fish. 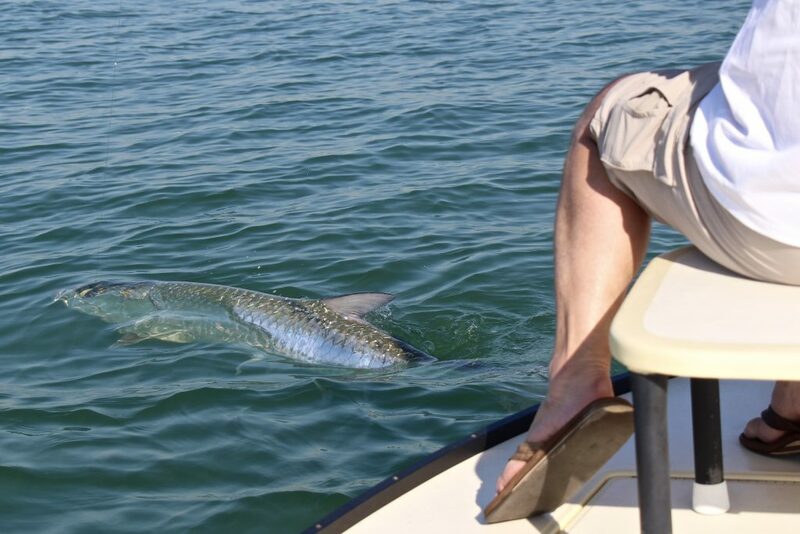 I did get a couple shots when the tarpon was close to the boat.